This page is WIP! Some of the refs here are a bit old. The main character. 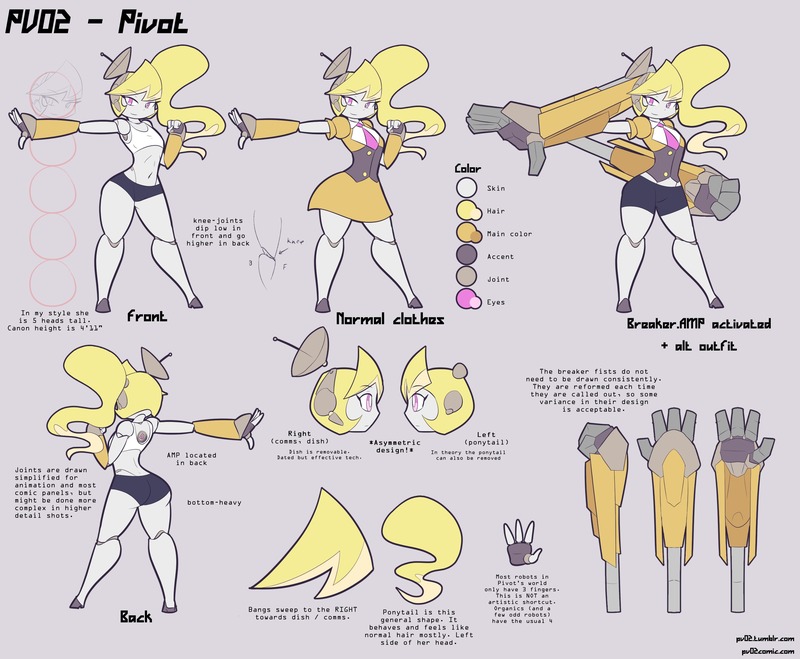 Pivot’s origins are largely unknown, as is her primary purpose. She’s come into possession of a device known as the AMP, which thus far has been used once to give her fist weapons to use for self defense in combat. Axle is an agent built to operate within the IFS (International Federation of Security). While combat capable, he largely operates as an investigator, and has become Pivot’s source of contact upon acquiring the AMP. Gladys is a shark dagonian who runs a pawn shop down town with her brother, Thrash. She’s a long time friend of Pivot’s and is her roommate. Though normally bubbly and excitable, she’s a force to be reckoned with when angry. 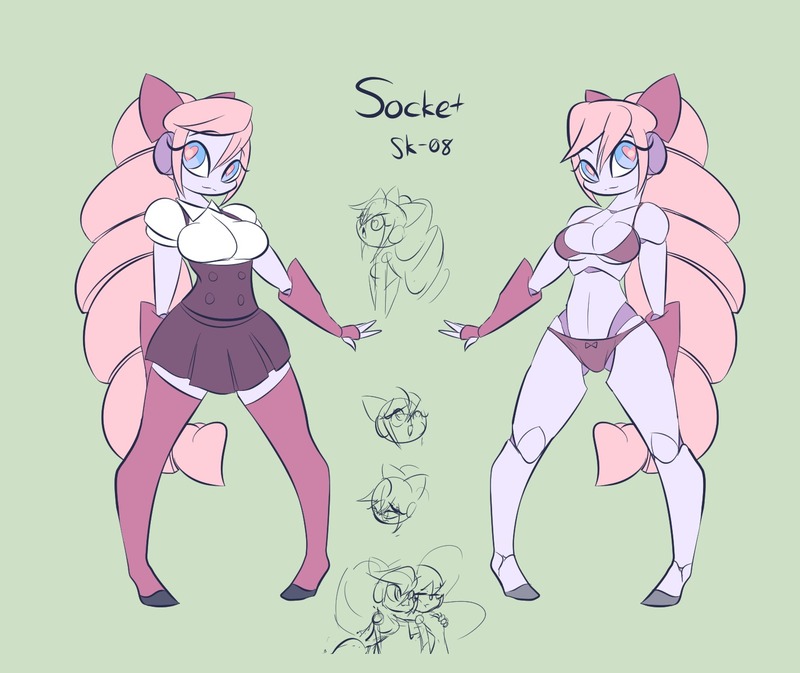 Socket is one of Pivot’s co-workers at the DaiTai Kafe, another robot for some reason designed with a curvy figure. Collet is a canine demi and another co-worker at the cafe. She’s a very nervous individual who comes from a rough family. 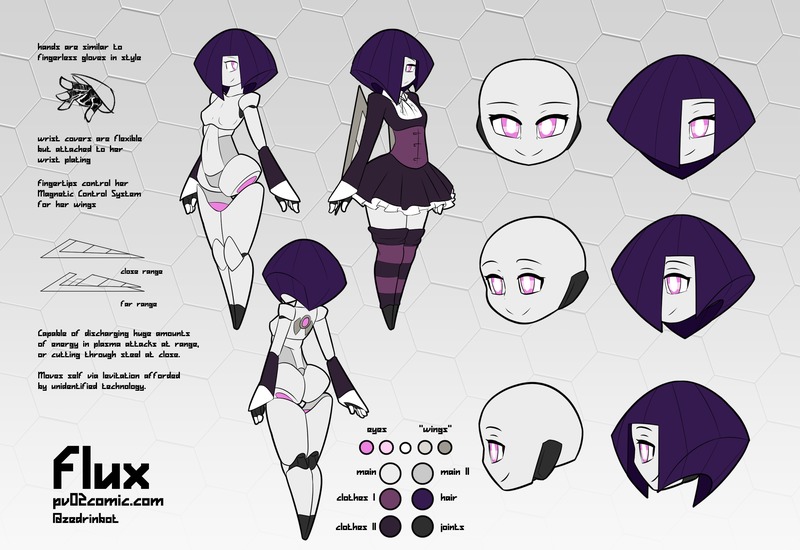 Flux is a mysterious, levitating robot designed for combat. She is equipped three levitating blades and a French accent. Not much is known about her other than she is associated with the Vigilance organization.